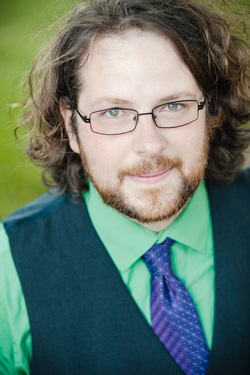 Christopher M Culp is a PhD Candidate in Historical Musicology at the University of Buffalo, State University of New York working on his dissertation concerning Serial Television Musical Episodes and the meaning of music and expression in times of crisis. He holds a MM in Clarinet Performance studying with Jean Kopperud (University at Buffalo), MA in Philosophy of Art (University at Buffalo), and a BA in Philosophy minoring in Women's Studies, English, Music, and Psychology (Robert E. Cook Honors College at Indiana University of Pennsylvania). A mixture of experimentalism, reflection, and dramatic flair - Chris is an advocate for contemporary music, working with many composers in developing clarinet techniques and premiering new works in order to foster a greater sense of community between composer, performer, and audience. He performs classical and contemporary music in order to inspire that moment of hesitation where reflective thought occurs, through aesthetic beauty or arresting noise. Not afraid to be outside the box, Chris enjoys traveling between composers like Brahms and Beethoven to Cage, Berio, or William O. Smith and working with choreographers and dancers to collaborate on new interpretations of musical works. Not limiting himself to clarinet, he also does performance art as part of Babel: an experimental vocal ensemble, having recently performed many of the John Cage Songbooks for the Cage Centennial. He has had the great opportunity to be part of the fresh inc. festival and perform with the Color Field Ensemble, Slee Sinfonietta, and Wooden Cities. An avid educator, he's taught K-adult in many contexts including teachers aid for K-1 classes in Philadelphia, college Women's Studies courses, history and analysis of musical theatre at University at Buffalo, Music Appreciation at Trocaire College, 9th grade Algebra with AmeriCorps, and various summer camps including the Hartwick Summer Music Festival and Appel Farm Arts and Music Camp. Chris has also had the pleasure to design and lead courses and workshops on Art for Social Change, Surrealism and Surrealist Games, Performing Gender, Identity Politics, Representations of AIDS in Art, Gender and Sexuality, Alternative Photography Development Techniques, Graphic Scores, John Cage, and Clarinet Contemporary Techniques. Having taught a variety of age groups, he focuses on the educational experience of the student so the materials are accessible yet thought-provoking in order to inspire life-long learning and critical thinking. One of his signature courses, "Glee and the TV Musical," leaves many of his students with a new-found and unexpected critical engagement with television, music, and the aesthetic experience.